What It Takes. Why They Do It. Who They help. Lynn Reed and her daughter Hana Reed Voight share more than just a family tie. They share a passion for learning. That’s why each ultimately chose teaching as a career. Keeping it in the family, they both teach at Maggie L. Walker Governor’s School – Lynn in math (calculus and pre-calculus) and Hana in history (AP European history, AP human geography, and global studies). Lynn joined the staff of Maggie Walker in 1998, and Hana came on board in 2011. 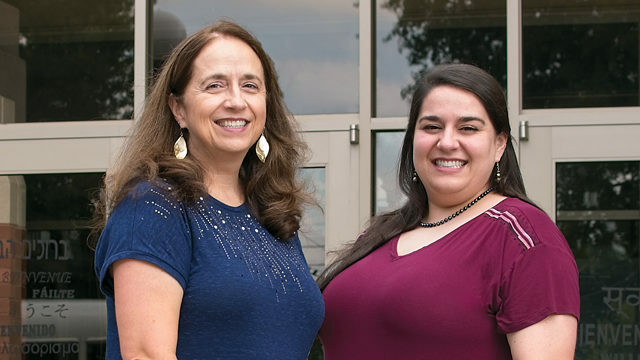 The two enjoy collaborating at work and helping their students discover concrete connections between math and history. “Hana does a unit on population growth that’s great for my calculus students,” Lynn says. The teachers were asked to present this interdisciplinary curriculum at state social studies and math conferences. Over the years, Lynn has been able to bring real-world examples into her classroom. A few years back, she was awarded a fellowship that allowed her to work at the National Science Foundation for two years looking at the climate science that affects the polar regions of the world. “I was able to come back and enlighten students about ways they can use math regarding something that is very topical,” she says. Through teaching, Lynn and Hana were able to travel to Spain and Morocco to look at history, math, and geography. “It was a study experience . . . something that was really great for us to share, not only as mom and daughter, but also as colleagues. It was a really cool multicultural, multidisciplinary experience,” Lynn says. While they love what they do, both women can understand why new teachers might become disenchanted with the job. It often involves buying into misconceptions about the amount of work involved or the sheer multitude of tasks that have to be completed on a daily basis. In her early years of teaching, Mavis Brown, associate professor of education at University of Richmond, saw more students committed to teaching than she sees now. 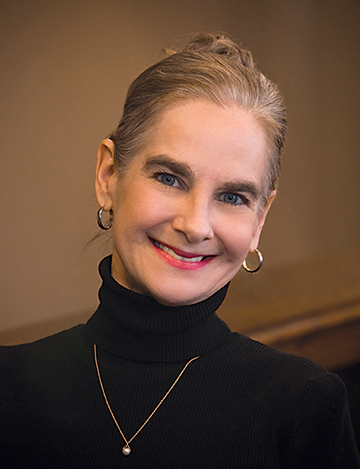 “Out of my class of sixteen (first- and second-year) students, I had all but three go halfway through saying they were interested, but not sure they would go through the teacher licensure program,” she says, noting the number of students who declare education as a major has been decreasing across the nation. This spring, there were 1,000 teaching vacancies across Virginia, according to research by the career services department at University of Richmond. “These classes don’t have licensed teachers in the classrooms, they have provisional teachers,” Brown says. The Metlife Survey of American Teachers found that teacher job satisfaction has dropped fifteen points since 2009, from 59 percent who were very satisfied to 44 percent, the lowest level in more than twenty years. In addition, the percentage of teachers in the nation who say they are very or fairly likely to leave the profession has increased by twelve points since 2009, from 17 percent to 29 percent. Brown finds the low number of students going into education disconcerting. “In my observation, young people who are eighteen or nineteen are a little more reluctant to commit to teaching than they may have been in the past,” she says. All of the rewarding moments that teachers experience compensate for the long hours and hard work. “They are pretty amazing,” Hana says of those moments. The work environment also factors into a teacher’s satisfaction level. “We have quite a few teachers who were here at Maggie Walker when I joined and are still here,” Lynn says, adding that teachers who make it through the critical first five to seven years feel connected to the school and to the community. 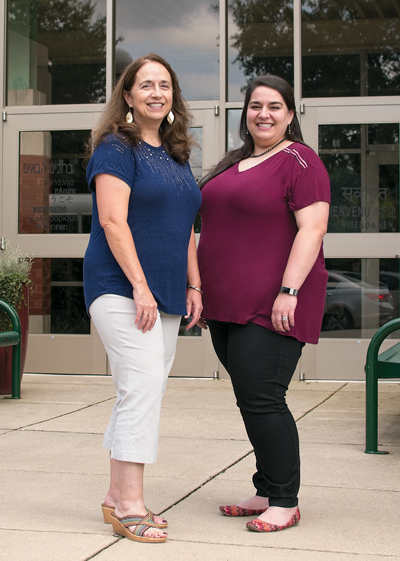 Lynn and Hana believe one of the best ways to discover the pros and cons of teaching is to talk to several teachers and get an idea of what it’s like to be a teacher today.